A new Big Ten Network documentary features, from left, the work of the Definition Theatre Company, Endalyn Taylor and Illinois Jazz Studies faculty. CHAMPAIGN, Ill. — A pioneering ballerina, a groundbreaking theater company and nationally known jazz musicians are featured in a new program on the Big Ten Network. “Illinois Artists” captures University of Illinois performing arts professors, students and alumni performing in New York, Chicago and Urbana. The 30-minute documentary premieres Aug. 21 at 11 p.m. CT on BTN. When the founding members of Definition Theatre Company graduated from Illinois in 2012, they wanted to change the world. Frustrated by a lack of diversity in the world of theater, they decided to form their own company. So far, the members have produced over a dozen plays in Chicago with the goal of diversity both on the stage and backstage. The company has earned critical acclaim. In 2017, award-winning Goodman Theatre Director Chuck Smith worked with Definition to stage Brandon Jacobs-Jenkins’ groundbreaking work “An Octoroon.” The play is a racial farce that challenges stereotypes – from plantation America to the present day. Phil Collins, Steely Dan and Tito Puente are a few of the artists who have been backed up by faculty members of the University of Illinois Jazz Studies Program. The Illinois musicians’ real-life experiences and their love of teaching are an important draw to students deciding to come to Illinois to study jazz. Because a big part of honing their craft is live performance, students and faculty perform several times a week at a small venue in downtown Urbana called the Iron Post, an authentic setting that has helped jazz studies at Illinois rank among the top 10 of college programs. Illinois documentary producers Tim Hartin, Kaitlin Southworth and Alison Davis Wood created these short profiles of artists associated with the university to showcase the depth of talented performing arts faculty at Illinois and highlight the artists’ impact on students. “Performing arts majors at Illinois leave campus prepared to make their mark on audiences around the world,” Wood said. 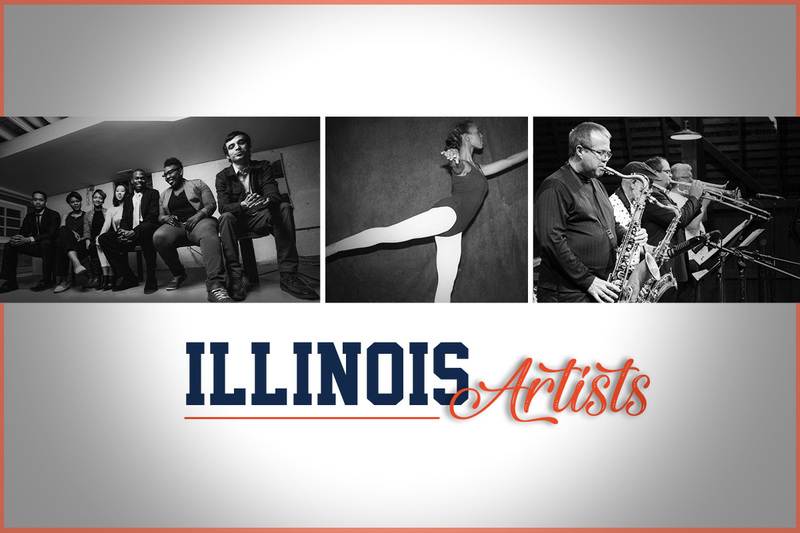 “Illinois Artists” was created by Illinois’ Office of Public Affairs and Division of Intercollegiate Athletics.